I started learning guitar with an enthusiasm which soon turned to disappointment due to certain reasons mainly unqualified teachers, I lost my interest day by day. Till I went to Aditya’s guitar concert for the first time. He was playing and I was regretting. I decided to share my story with him to find a solution. I have been teaching privately for over 6 years now. In the past I have taught within institutes, such as Melody Makers Arts Academy in Dubai and other schools in India. But they have many restrictions, such as an inadaptive syllabus and standardized testing, which doesn’t give the students individual attention and path to creativity. But more importantly I have been learning for over 13 years, in USA, Scotland and India. I have learnt from teachers with varying backgrounds, styles, and techniques . There is an abundance of amateur teachers in India who transfer bad technique and habits and fail to ignite the joy of music in students. My goal is to filter this out for my students, through my own experience with numerous teachers over the years. If you are in Ahmedabad and want to learn classical guitar, please get in touch. These are one-to-one classes, no group lessons. Some of the most inspiring moments of my learning have been through guest lectures and masterclasses, through musicians who break your daily learning routine and provide students with some fresh and unconventional lessons to ponder over. If you are an institution, such as a music academy, and interested in providing public or private masterclasses to your students please write to me. I can design a lecture/workshop to suit the level of your students, and musicianship lessons to suit all instruments. A core aspect of my teaching is to encourage students to share and contribute as musicians to society, rather than keep practising in an isolated room. Hence their progress is marked through recordings and performances which I help them with, so that they can share their creativity with their friends. 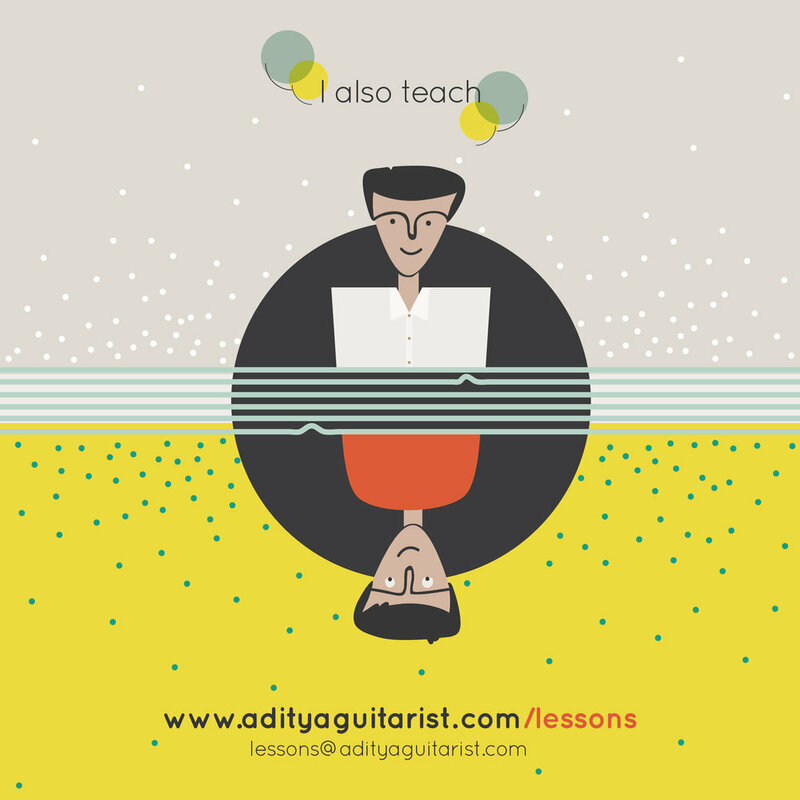 Another important aspect about my lessons is to learn theory through practice and experience. I encounter many musicians in India who display a disconnect between their theoretical ad practical knowledge. In my lessons a theoretical or analytical concept is learnt by the ears and not just on paper , leading to musicianship that goes beyond just the technicalities of the instrument.